Mr B came across this kick starter idea earlier this year. 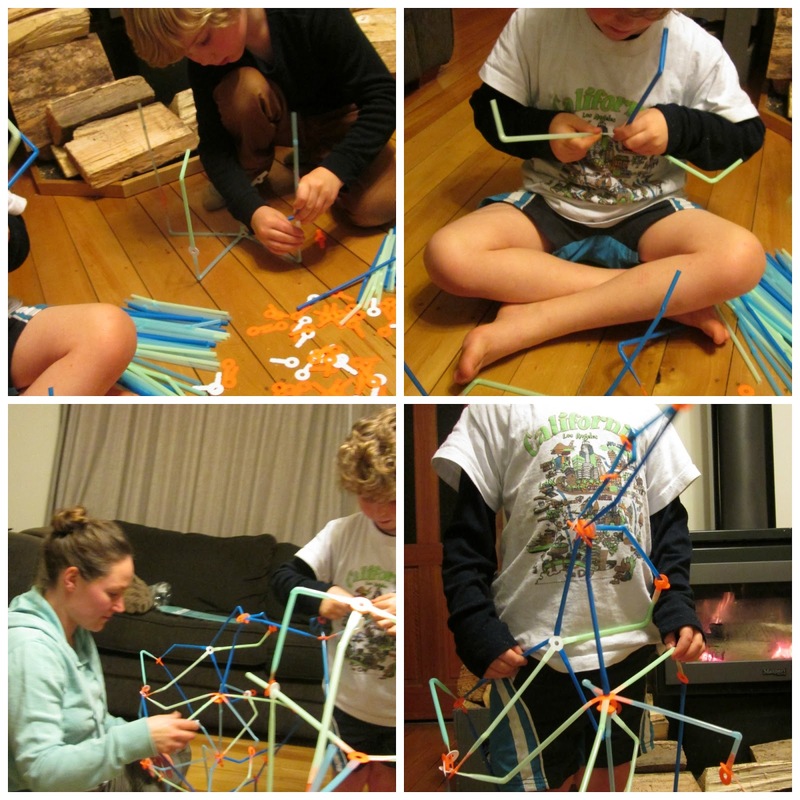 They arrived not so long ago and after buying a few hundred straws we gave building with Strawbees a go. We set a timer and started creating tall towers which quickly turned into teams and competitive building and then on to hats- very awesome hats. The connections are interesting and when we ran out of 2/3/5's while building we have to start making new junctions which where harder than we thought to insert/make. 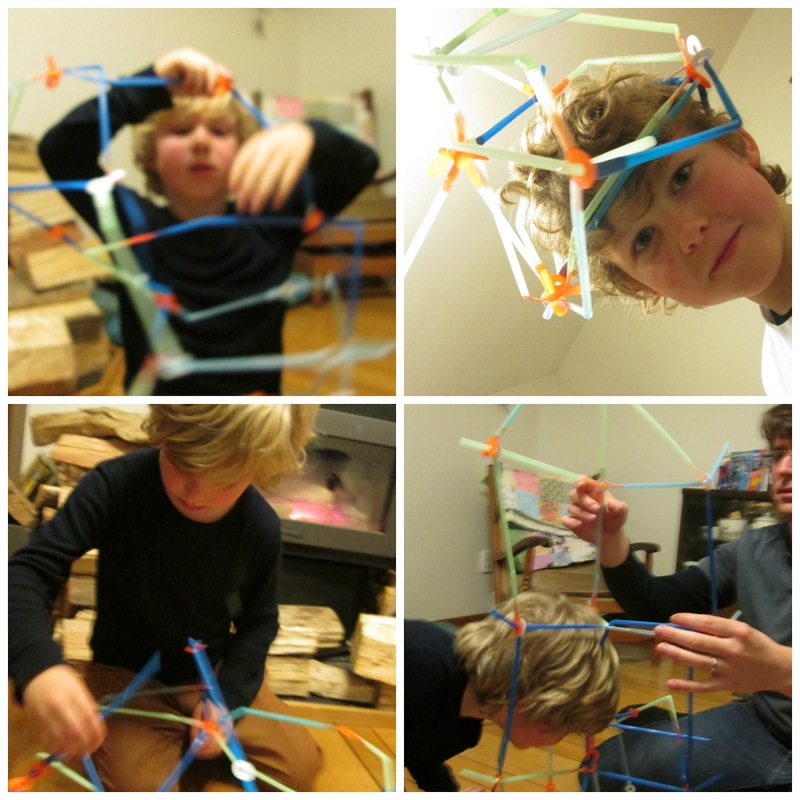 We had fun building. 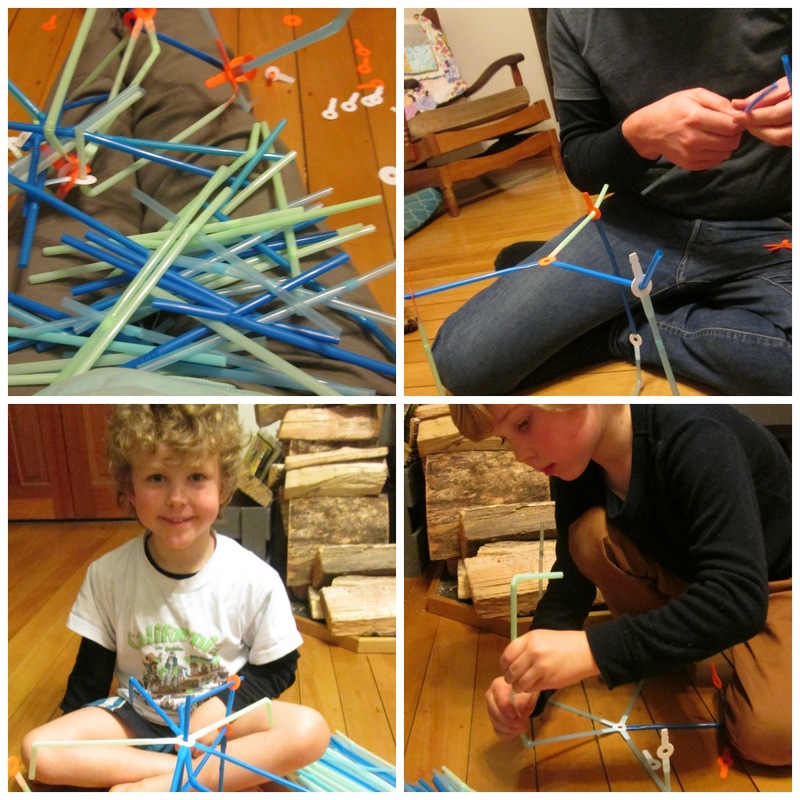 Its reusable and for my boys who love creating it was a nice time spent as a family creating something fun. 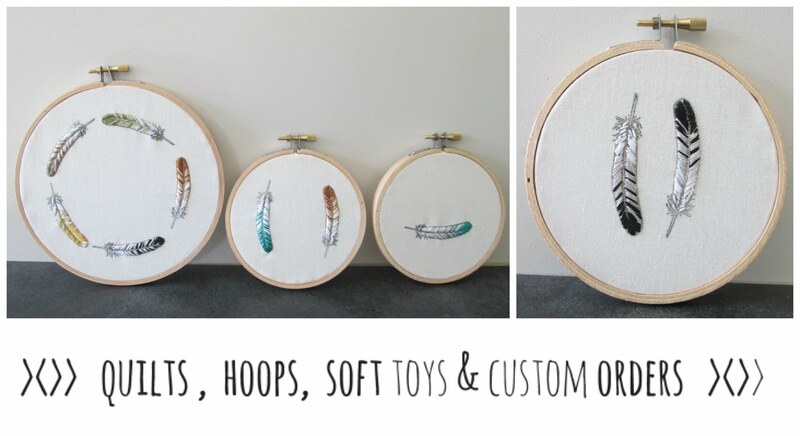 SO fun- and I love your new blog layout!